As of pandas version 0.15.0, the memory usage of a dataframe (including the index) is shown when accessing the info method of a dataframe. A configuration option, display.memory_usage (see Options and Settings), specifies if the dataframe’s memory usage will be displayed when invoking the df.info() method. The + symbol indicates that the true memory usage could be higher, because pandas does not count the memory used by values in columns with dtype=object. By default the display option is set to True but can be explicitly overridden by passing the memory_usage argument when invoking df.info(). The memory usage displayed by the info method utilizes the memory_usage method to determine the memory usage of a dataframe while also formatting the output in human-readable units (base-2 representation; i.e., 1KB = 1024 bytes). See also Categorical Memory Usage. Starting with pandas 0.8.0, users of scikits.timeseries should have all of the features that they need to migrate their code to use pandas. Portions of the scikits.timeseries codebase for implementing calendar logic and timespan frequency conversions (but not resampling, that has all been implemented from scratch from the ground up) have been ported to the pandas codebase. Use the to_timestamp and to_period instance methods. 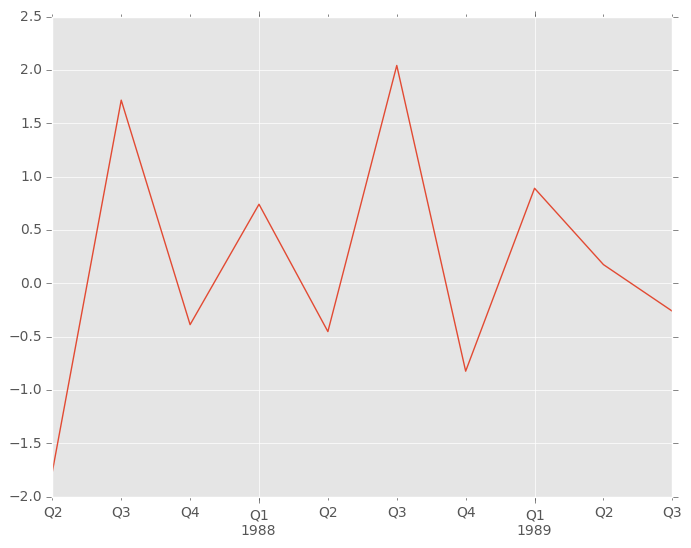 Unlike scikits.timeseries, pandas data structures are not based on NumPy’s MaskedArray object. Missing data is represented as NaN in numerical arrays and either as None or NaN in non-numerical arrays. Implementing a version of pandas’s data structures that use MaskedArray is possible but would require the involvement of a dedicated maintainer. Active pandas developers are not interested in this. See the NumPy documentation on byte order for more details. The qt support is deprecated and will be removed in a future version. We refer users to the external package pandas-qt. To demonstrate this we will create a simple PySide application that will switch between two editable DataFrames. For this will use the DataFrameModel class that handles the access to the DataFrame, and the DataFrameWidget, which is just a thin layer around the QTableView.